1 son, Craig Haddock, born Mar 24,1968. 2 grand children, Stephanie, born Nov.29,1991, and Robert, More…born October 16, 1993. Well, I've changed my comments since the beginning of the site. What I'd like to say now is how grateful I am to have gone to SAH when I did.I;ve never been involved with a Reunion before, never knew the comradry and rememberences of old friends that I do now. I feel very blessed to know all of you, and I just want you to know how honored I feel to be able to have so much of your trust that you are allowing me (and Pat) to set this event up. .Wow. The Reunion was fun and great to see everyone, but I'm tired. 2.26.14--My life has changed dramatically in the last 2 weeks. Will update later. Freshman homeroom 101, 1st floor, Sister James Catherine. Library Science; Outside enclosed area after lunch. Dante's coffeehouse on Waverly. Chemistry & Physics Lab in basement. Trig. regent'sexam in hair curlers because it was same day as Prom. Will you be attending the Reunion? Whatever happened to the B'klyn Academy of Music and the Hotel Pierre? Are they still there? Barbara Ecker Ecker has a birthday today. New comment added. Barbara Ecker Ecker added a comment on her Profile. Barbara Ecker Ecker posted a message. Hi Nancy, Happy B'day, but more importantly, how have you been? Looking forward to seeing you. Will e-mail you from the Message Center. Barbara Ecker Ecker posted a message. New comment added. Happy birthday Janice from Eileen and me. Thanks for all your help thus far. Barbara Ecker Ecker has a birthday today. Barbara Ecker Ecker added a video to her gallery. New comment added. Highlights from Jim's life (played at his funeral). If you knew Jim Phillips, you'll want to see this. 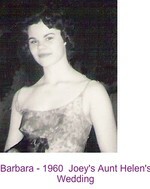 Barbara Ecker Ecker changed her "Then" picture. Barbara Ecker Ecker changed her profile picture. 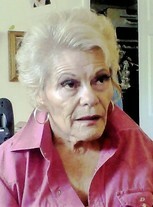 Barbara Ecker Ecker changed her "Now" picture. Happy 70th Pat. 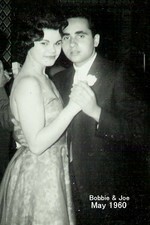 I remember spending your 67th with you. Can't wait to see yo u and Rudy again. Happy Birthday, Judy. Glad to see you so well and active. Hope that in your future plans you make room for the Reunion in N.Y..You've been a great help to me and and all our classmates over the past 5 years. I want everyone to know how much I appreciate your input and presence. Again, Happy Birthday.